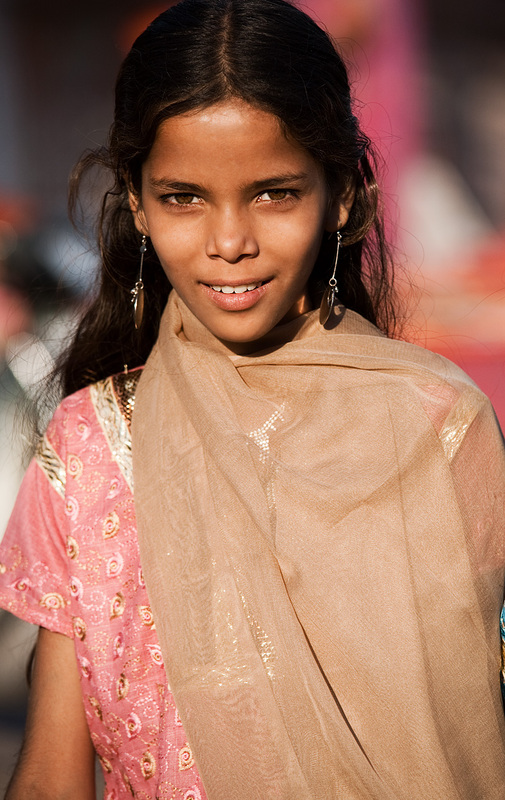 A gorgeous young Indian girl poses for a portrait. This young girl has little idea yet of her beauty. She chased me down at the market and requested I take a photo of her. I grudgingly obliged. Somehow I think she knows that she is special! You are not the first (or the last) to see her stunning beauty. You did a good job in capturing the girl's features. It reminds me of the Shabat Gula pic. Only this girl is happy, Thank God. Very beautiful.